DINOSAUR THINKING – and look what happened to them! On-line payments. Card readers. Internet banking. But what has that got to do with a private consultant surgeon? Consider the following real MHM clients. Client A is very forward thinking. Client B can’t even update his Iphone [keeps forgetting his password]. Both performed a similar number of surgical episodes and outpatient consultations in September 2015. I should know. I invoiced all of them. Client A – shortfalls / excess against his September work totalled about £1,900. Today he has £36 worth of excess and shortfalls still outstanding. Client B – shortfalls / excess against his September work totalled about £1,770. Today he has £876.50 worth of excess and shortfalls outstanding. Both had their shortfalls / excess invoiced to their respective patients in precisely the same way. Client A saw a 98% success rate in collection of shortfalls / excess. Client B only saw a 49% success rate. Client A – I take on-line payments. Client B – I do NOT take on-line payments. Client A – likes technology. You should see his website! You can see his availability by clicking on his on-line diary. You can’t book a consultation but you can see where and when his clinics are for the next two months. Client B really does not like technology. He has a website too (took me 8 months to convince him to get one). He does NOT like on-line payments. He doesn’t trust them. Two youngsters allegedly hacking “Talk Talk” recently proves his point. So I’m not allowed to use the MHM on-line payment facility. But if I were Client B I’d be irritated beyond belief that I was still owed £876.50 for my September work. 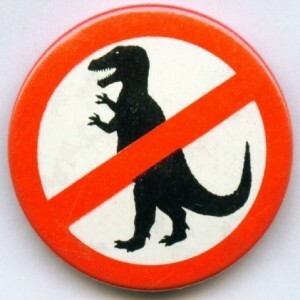 I spoke with Client B yesterday and came out with my “dinosaur thinking” comment (again). I described what was happening with Client A. Per normal he laughed. He pointed out that whilst he was not planning on becoming extinct just yet, he still didn’t like the idea of on-line payments.